Notice a theme? I've been using ric rac in all of my pouch projects lately. I made these two last night with the fabric I bought over the weekend. 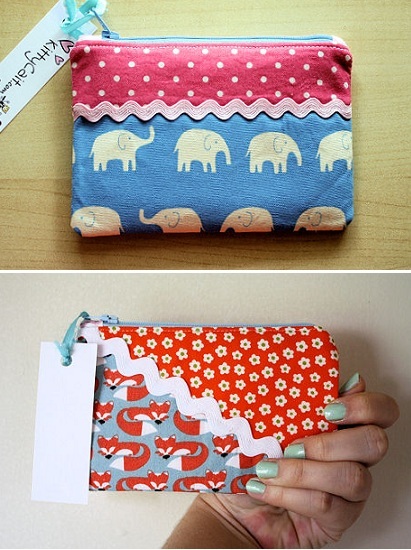 The elephants are a nice linen blend Japanese import, and the foxes are printed on organic cotton. A little pricey, but too adorable to pass up. They are listed on my Etsy shop for $7 each right here. these are adorable! who can resist the cuteness of ricrac? also, i love that minty nail polish!